Netgear R6100 Wifi Router, Netgear Prosafe 24 port unmanaged Gigabit Switch JGS 524 (wired to R6100), Netgear ProSafe WAP WN203 (wired to switch). 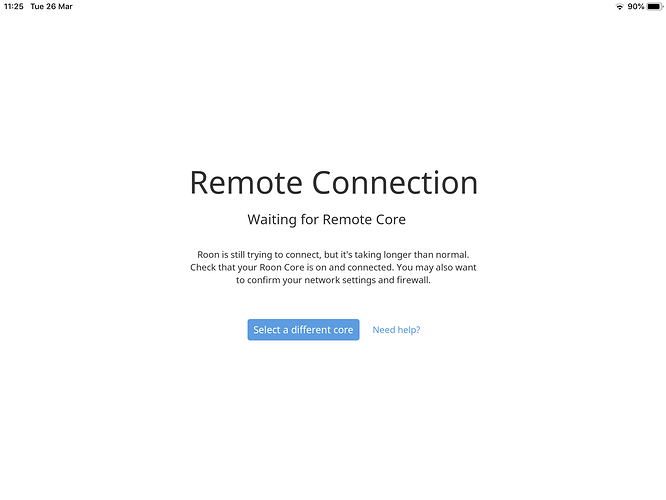 The iPAD and iPhone Roon remote app consistently loses connection with the Core when moving between the wifi range of the router and the WAP. The sequence is predictable. 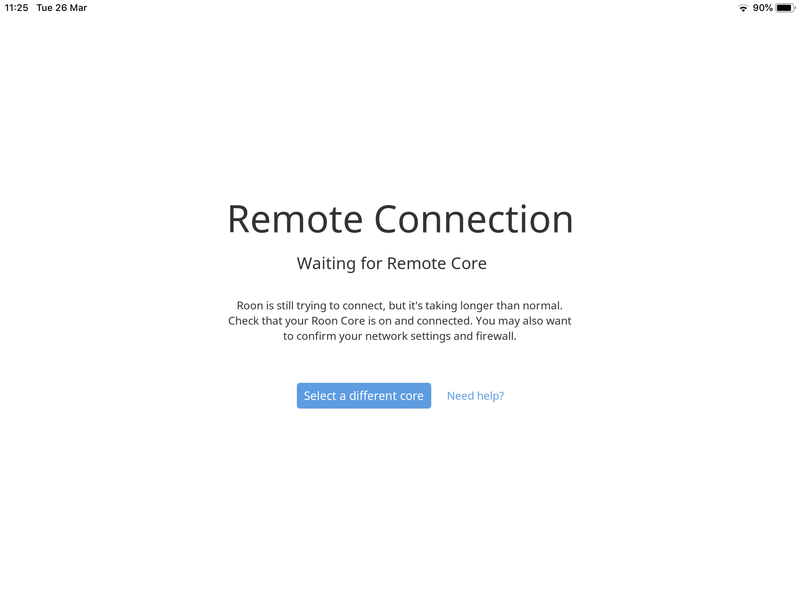 After rebooting everything, the remote using router Wifi will “see” the core. If the iPAD then moves into the range of the WAP, it will switch to WAP wifi and make a connection with the Core OK. If the iPAD remote then moves back to the range of the router, the iPAD switches to router Wifi but loses the Core. Connection with the Core will still be made through the WAP when in range, but the only way of restoring the connection in the router range is by rebooting the whole system. All other parts of the network and Wifi work normally (e.g iPAD will still connect to internet etc while in router Wifi range). The problem is not specific to Roon. I have been having the exact same problem using a purely Sonos system, and also with the Lindemann app. I have ensured fixed IP addresses for all devices, altered DHCP settings in the WAP, and changed IGMP proxying in the router with no benefit. I have also ensured that router and WAP use same SSID. I have concluded that I should change my router / switch / WAP setup. The house is recently built with built in LAN wiring. There is a concrete slab floor separating basement (where router is) from GF, and I cannot cover whole house with single router. I reckon that WAPs hardwired to a router is a better option than a WiFi MESH system. What router / switch / WAP combination, and with what configuration) would be recommended on the basis that they are known not to cause the type of problem I have described? This topic WiFi Router Recommendations? has been helpful but I need to know that the problem is not seen with any of the recommendations. I would consider a mesh system if that was known to be more reliable in this respect. However I am based in UK where Eero is not available. PS I am currently trialing Roon and I am very impressed. I am a long standing user of Quobuz, and Roon integration of Quobuz has been a game changer for me. The Library integration of Quobuz favourites and the NAS library is fantastic. I was sceptical about Roon Radio, but am a convert after only a few days, as it is directing me to an excellent selection of music in Quobuz. I will almost certainly stick with Roon long term but I need a resolution to this problem. Hi @Matthew_Lyttelton — Thanks for reaching out! If the iPAD remote then moves back to the range of the router, the iPAD switches to router Wifi but loses the Core. Connection with the Core will still be made through the WAP when in range, but the only way of restoring the connection in the router range is by rebooting the whole system. It sounds like there is an interruption in the network connection when switching from the WAP to the router. What error message do you see here on the iPad? Can you share a screenshot of what you see? If you completely close the Roon app on the iPad and re-open it is it able to make a connection? What router / switch / WAP combination, and with what configuration) would be recommended on the basis that they are known not to cause the type of problem I have described ? This topic WiFi Router Recommendations? has been helpful but I need to know that the problem is not seen with any of the recommendations. We don’t typically make specific product recommendations here (we recommend reaching out to the Community in Roon Software on top of your own research), but generally we’ve found that mesh networks work pretty well when multiple access points are needed (as mentioned in our Networking Guide). Force closing the Roon app in ipad or iphone does not help. Rebooting the router is the only thing that works. I understand that you are keen not to recommend specific products. It does sound as if Ubiquiti Unifi is a sound bet, both from your Networking Guide and from other users comments. I am therefore leaning towards Unifi with Unifi WAP’s. I note Roon’s recommendation to avoid managed switches if possible. What have Unifi users done? Use the Unifi managed switch with POE, or an unmanaged switch with local POE adaptors? Any comments appreciated. Generally, we recommend using unmanged switches when possible. Managed switches often require additional configuration and can cause issues with Roon’s ability to communicate over the network if not setup to pass the traffic properly.